Sunday night I stayed up until 1am finishing an ARC of Veronica Roth’s debut novel, Divergent, out May 3rd. From Goodreads: In Beatrice Prior’s dystopian Chicago, society is divided into five factions, each dedicated to the cultivation of a particular virtue—Candor (the honest), Abnegation (the selfless), Dauntless (the brave), Amity (the peaceful), and Erudite (the intelligent). On an appointed day of every year, all sixteen-year-olds must select the faction to which they will devote the rest of their lives. For Beatrice, the decision is between staying with her family and being who she really is—she can’t have both. So she makes a choice that surprises everyone, including herself. During the highly competitive initiation that follows, Beatrice renames herself Tris and struggles to determine who her friends really are—and where, exactly, a romance with a sometimes fascinating, sometimes infuriating boy fits into the life she’s chosen. But Tris also has a secret, one she’s kept hidden from everyone because she’s been warned it can mean death. And as she discovers a growing conflict that threatens to unravel her seemingly perfect society, she also learns that her secret might help her save those she loves . . . or it might destroy her. 1. 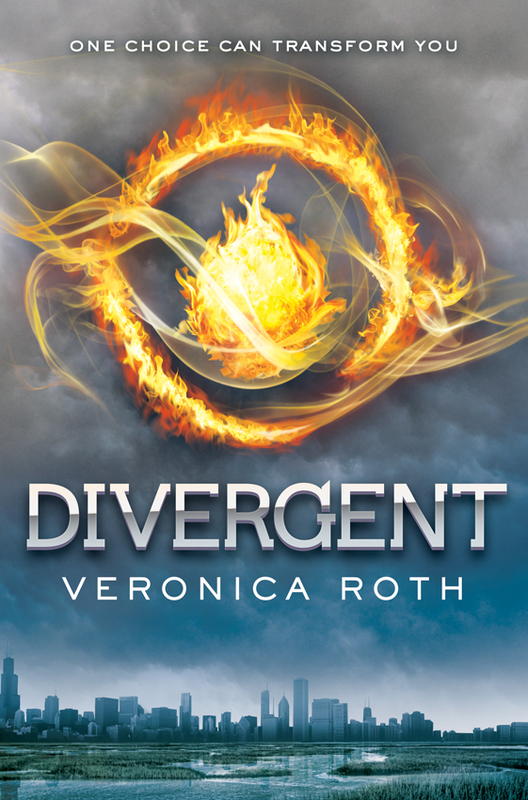 Initially, Divergent‘s cover didn’t do much for me. 2. I’m very close to being over-saturated by all of the dystopian literature coming out these days. 3. 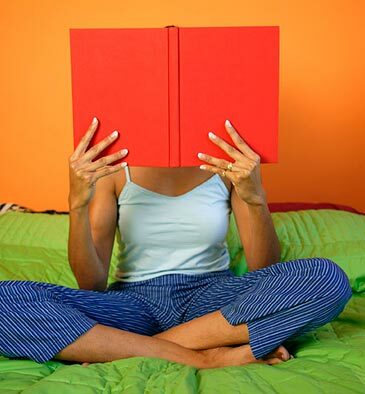 I don’t usually seek out novels that are described as “action-packed!” or “edge-of-your-seat thrilling!” I prefer quieter books, ones that are character and emotionally driven. 4. I didn’t know a lot about Divergent going in, other than the fact that it was majorly hyped–not always a testament to a novel’s quality. 5. It took me three days to get through Divergent‘s first two chapters. NOW, THROW AWAY THE FIVE TRUE CONFESSIONS ABOVE! Divergent truly is action-packed, but not at the expense of deep character development, realistic relationships and stellar world building. If you want an example of a strong female protagonist, look no further. If you’re interested in reading about a dystopian future that is extremely well thought out (not to mention, a startlingly real possibility! ), dive into this novel. If you like a slow-burn romance with a fantastic payoff, you’ll love Tris and her *ahem* love interest (nope, no spoilers here!). I usually hate comparisons like the following, but if you’re a fan of The Hunger Games Trilogy, I suspect you’ll love Divergent. I’m already itching for the next installment! 1. Leave a comment telling me which faction you’d choose if you were a part of Beatrice’s futuristic Chicago: Candor (the honest), Abnegation (the selfless), Dauntless (the brave), Amity (the peaceful), and Erudite (the intelligent). 2. For a second entry, tweet about this contest, including a link to this post. Leave an additional comment letting me know about your tweet. 3. For a third entry, become a friend of this blog by signing up for an email subscription (in the column to the left). Leave an additional comment letting me know. I will verify this through the blog. 4. This contest is open internationally, now through Friday, April 15 at 12:00pm (noon), PST. I will tally all of the entries and draw one winner randomly, then post the winner’s name Friday afternoon. You, if you win. Good luck! Oh, your true confessions are ringing little bells of truth here… but I’m totally sold, Divergent sounds amazing! I’m a mediator for my day job, so I think I have to say I’d pick Amity, though I reserve the right to change my mind once I’ve read it! I’d want to believe I’m Dauntless or Abnegation, but I’m afraid I’m not: which makes me Candor. Not entering, but I’m so glad you liked this! It took me a few days to get into DIVERGENT too, but once I was in, man was I hooked! What a fun read. Without having read the book I’d have to say Erudite closely followed by Candor– I hope there’s a lot of reading involved in my faction! Special bonus comment to say I’m signing up for an email subscription. I already have you on my blogroll but for an extra entry who am I to complain about receiving emails (they make me happy)? My excitement level is off the charts for this book. So glad Divergent exceeded your expectations. Can’t wait to read it! I think I would choose Abnegation as a faction. I read the first 100 pages online and loved them. I can’t wait to read the entire thing. I’m a huge fan of dystopians (I’m not sure I’ll ever get sick of them) so this is right up my alley. Oh, and I didn’t sign up for email because I already get you in my Reader. I have heard nothing but good things about this book! Yeah, I have the same reaction to dystopian saturation. But I’ve wanted to read Divergent for a long time, and now I’m very excited to! ….and now I’ve tweeted it. Sounds amazing! I’m new to your blog, but I can’t wait to read this! Ha – I forgot to tell you the faction that I’d choose! I wish I were the sort of person to pick Abnegation, but I think I’d pick Erudite. I’d definitely be part of Erudite. I’m too much of a wimp for Dauntless. Thanks for the contest! I’m not crazy enough for Dauntless–I’d be in Erudite! I would definitely choose Erudite. I’d like to be part of Abnegation. Thanks for the chance to win DIVERGENT, Katy! I would choose Abnegation because I am very selfless and always do thing for others. Thanks for the contest. I’d love to win a copy. I’ll be back for more entries – once I tweet and confirm my subscription! PS – thanks for this! Let’s see…I guess I would choose Erudite. And subscribed with this email 😀 Thanks for the giveaway! Thank you for making it international, I’ve heard great things about this book. I would choose Dauntless because it could be useful be brave and because I don’t like the other options lol. I’m super pumped about this book. Since I am stay at home mom of 3 kids and am constantly fighting to “keep the peace”, I guess I would have to be in Amity even though I would like to be in Eurdite. I would be in Duantless, because I always try to be, even if it doesn’t always..uh…. work out that way. *glances in dark closet. * Eeep! Thanks a ton for the giveaway! I’ve been DYING to read this book! Thanks for the chance to win. As for the faction, it would have to be Amity. I wouldn’t be able to live if there wasn’t peace! Oh my gosh, I want this book so badly. I feel like everyone is reading it but me! Also, I just signed up for your newsletter. I also retweeted! Thanks for the contest!!! I would choose dauntless because I consider myself brave. I think I would probably be in Candor. I would be in Duantless, is the one I like the most I think. Thanks for making it international. If I’m a part of Beatrice’s futuristic Chicago I choose the Abnegation. Hi! Thanks for the contest! Thank you for hosting this contest and making it international. I would love to be able to choose Abnegation or Dauntless, but I think that in the end I’d choose Amity. Your review sure does show how much you loved the book! I would choose Abnegation, since being selfless is a great trait to have…….and you got to have some of the others to be selfless. +1 I signed up for an email subsription!!! I would choose Erudite, I love gaining knowledge. Thanks! OMG that’s such a difficult choice. I really can’t make up my mind. All of those qualities are great and I think they are all complementary 🙂 I mean, it’s great to be brave but if you are stupid it’s not really useful, so Erudite is also an important faction ^^ And honesty and peace are also important. So that’s a very hard choice and I’m really curious to know which one Beatrice will choose. I really can’t wait for this book 😀 But it’s not the question so if I really have to choose only one I think I’d choose Erudite. Once again thank you so much for this giveaway.